Believers of the philosophy that your body is a canvas, we’ve found an artist that can recreate your dream with ease. An independent tattoo artist, Thapan’s expertise is at understanding and re-creating your imagination (sometimes better than you expect!) and inking it on you. He specialises in sleeves and the arms because of the versatility and challenge it provides (and how badass it looks once it’s done). 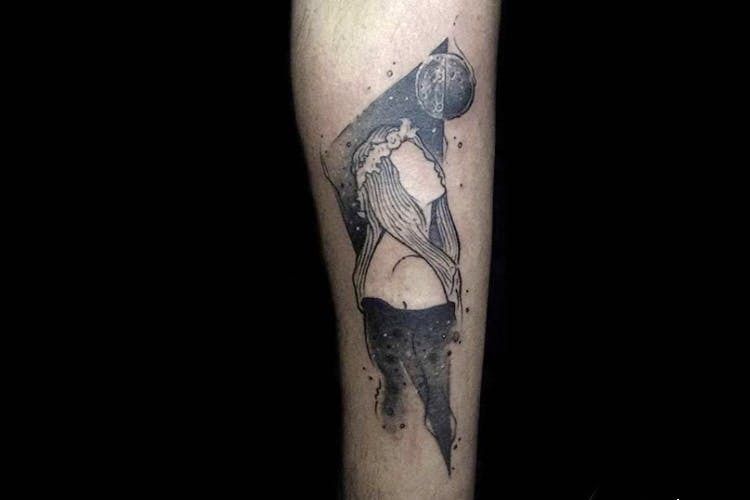 From abstract to geometric, freehand to dotwork, portraits to Mandalas or a combination of all the above, he can conceptualise a tattoo better than how you imagine it in your mind! He charges based on tattoo size, detailing and ink colour (colour tattoos cost a tad more, but definitely worth it! ), so you’ll need to consult with him before actually going ahead with it to know what you’re getting into.He’s based out of Bangalore but travels quite often for work and inspiration, so you can expect to hear some great stories (to distract you from being constantly poked) as he inks your imagination on you. Of course, if you can’t decide but want a tattoo just for the aesthetic, let him know and he’ll give you a unique design that you’ll have no regrets showing off! The only way to view his work, as of now is through his Instagram page. We’d suggest going through his work there and DM him for more details about his studio and appointments.